It is May 2000 and I am standing in a long line of chattering, excitable people wearing white hard hats. This is not an audition for a Village People tribute act, but the queue to board a makeshift train that will transport us to the edge of an ugly, sterile china clay quarry. Below us, rising from a pool of pale grey slip, is what will eventually take its place as one of the wonders of the modern world, the Eden Project. The scene is breathtaking, otherworldly and improbable. No-one has seen anything quite like this before; a sense of awe and anticipation is tangible. Gigantic bubble-shaped structures, referred to as biomes, are being assembled by hundreds of ant-sized workers. Within 12 months these gigantic conservatories will offer visitors the opportunity to commune with plants from across the tropics and temperate world, learning as they go. The project is remarkable, audacious and visionary. One can already tell this is a game-changing enterprise. My younger self wonders if this is what the landscape might look like if Man were to live on the moon. Fast forward 16 years and I am back at Eden. No need for a hard hat this time, not even a high visibility jacket. Eden is maturing. No longer an ugly duckling, the vast site sits within the landscape as if it were part of the very fabric of Cornwall. Around the fringes of a vast amphitheatre, hanging woodlands are growing up, accentuating the drama. A live music stage has been added (in 2002) and an educational centre named the ‘Core’ (opened in 2005, shown in the foreground below). There are majestic trees where once there was only mining spoil, carpets of daffodils and crops of potatoes where there was no earth to sustain life. The magnitude of what’s been achieved is hard to express in words. The most sincere advice I can offer is to go along and experience Eden for yourself. Eden’s ambition does not begin and end here in Cornwall, or even in the UK. There are global partnerships with organisations all around the world working on sustainability, biodiversity and green employment. 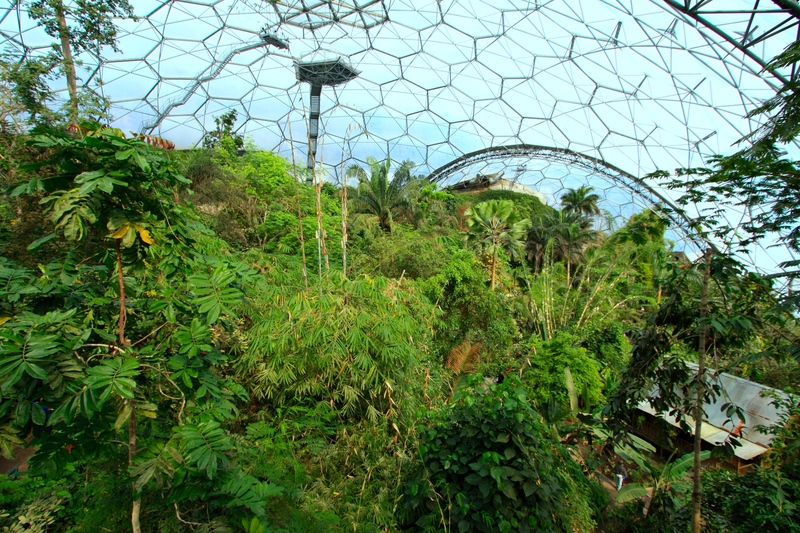 At the original site in St Austell there plans to extend a canopy walk through the jungle in the tropical biome and to build the country’s first geothermal energy plant, generating both heat for Eden and surplus electricity for the National Grid. Europe’s first and only redwood forest is being planted using stock raised from trees over 4,000 years old growing on the west coast of the USA. There is talk of creating Eden Projects on every continent apart from Antarctica. Tim Smit is one of those visionaries that will only sleep when his time his up. But what of the original Eden Project? I was pleasantly surprised to find that the experience remains as fresh and untarnished as it was on that first May day of the new millenium. The people working on site, from the lady collecting entrance fees to the gentleman talking to visitors about the benefits of panela sugar (an unrefined whole-cane product from Columbia), appeared to be full of the same joie de vivre that I remember from the early years. The landscape around the biomes is more satisfying and interesting now that it’s maturing, cleverly designed so that there is interest during every season. And horticultural standards are high. A new site has been cleared for a National Collection of kniphofia; there is a superb wildlife pond next to the Core and there are extensive displays of crops traditionally cultivated in the mild Cornish climate. 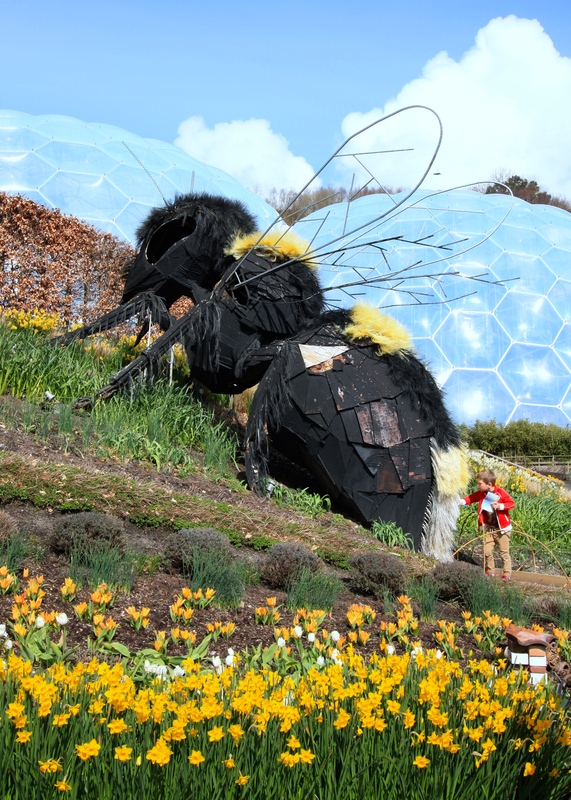 Art lovers will appreciate the wide diversity of sculpture at Eden, ranging from a giant bee to ‘Seed’ by Peter Randall-Page, one of the largest works of art to be fashioned from a single piece of rock. Visiting any attraction with children puts a different perspective on things, but Eden appeals effortlessly to all ages. My niece Martha, like the toddler in the video above, spent hours running and playing in the willow wigwams alongside the main pathways. A simple collaboration with nature and yet so engaging for bright young minds. Meanwhile adults are able to sit in the sun and enjoy proper Cornish pasties and locally brewed drinks without a care in the world. The inevitably extensive gift shop is well-tended and packed with good quality gifts and plants predominantly sourced from Cornwall and neighbouring Devon. If I were to have any gripes with Eden they would be insignificant ones. The entrance fee, at £25 for an adult, is pricey if one is only to visit once. This can simply be transferred into a season ticket provided one ticks the Gift Aid box, making it amazing value for potential Eden addicts like myself. Plant labelling in the biomes is patchy and tends to highlight only a handful of key plants valued commercially. 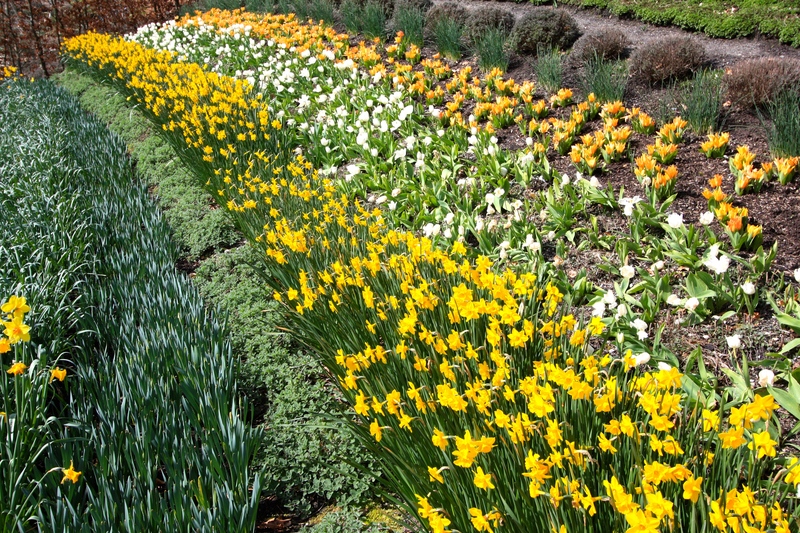 However Eden is about man’s relationship with plants and how that might be sustained, not about botany. I am more than happy to forego a few name tags in order to breathe the same humid air as the plants that make up the largest captive rainforest in the world. In the fifteen years since it opened officially Eden has lost nothing of its magic. The feet and hands of millions of visitors have served only to polish this gem so that it sparkles like a diamond where once there was only lifeless clay. Neither has my sense of awe diminished, and I expect it will not from my next until my very last visit. 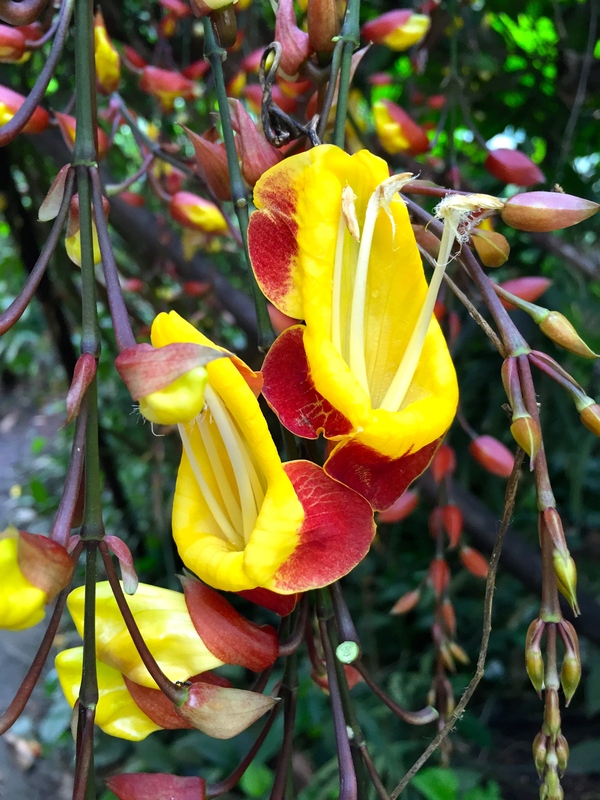 The Eden Project is open throughout the year. Click here for opening times, special events and directions. No label, but totally tropical all the same! 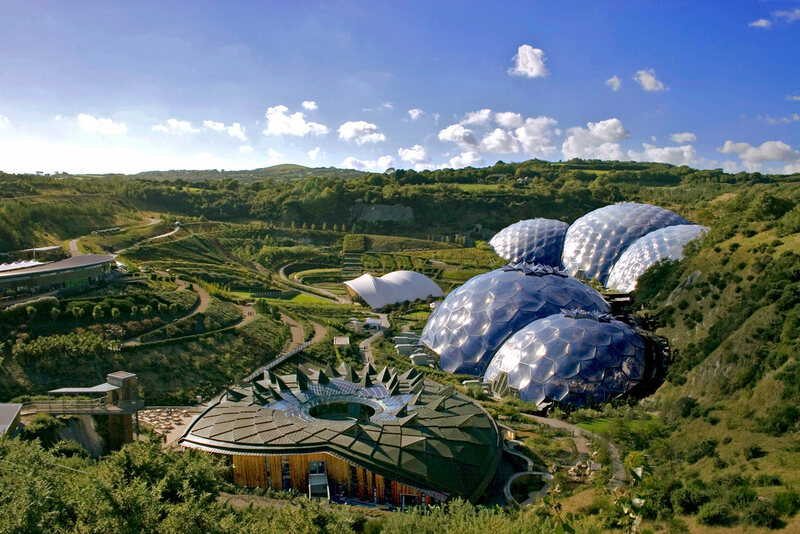 Eden is incredible, and Tim Smit is a truly inspiring man, it makes me proud to be Cornish. 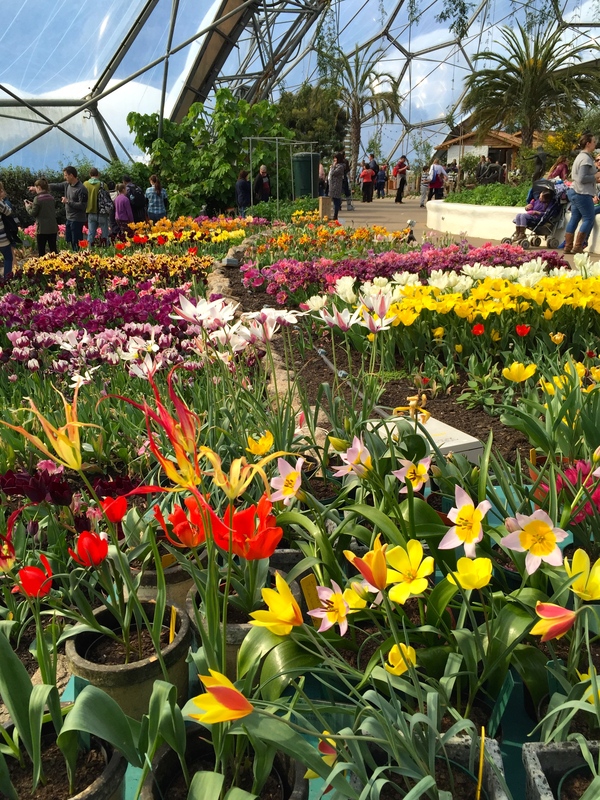 I have visited many times, but strangely have never done a Spring visit, I really must dig out my Locals Pass … Have you ever been to one of the Eden Sessions? Live music with the biomes for a backdrop and the heady scent of the flowers on a June night, pretty close to what Heaven must be like! Thankyou for sharing your visit. Bruno Mars, about 5 years ago I think. A fantastic evening. Do go before the bulbs go over 🤓. Having lived in Truro, Cornwall until autumn 2009 I was lucky to have been there at the birth of Eden, which was a miracle to behold. No one, but Tim could have had and held this bold vision. You’ve truly wetted my appetite to visit even more, as I’m fortunate to do just that this July after a long absence. All the best from , presently the Lido de Venecia, where a whole manner of lovely shrubs and trees are in bloom! Truly remarkable and awe inspiring. Eden has been on my ‘gardens’ to visit since its inception. One day! Such incredible vision. How wonderful it must have been to have Martha along to add another dimension to the experience. Enjoy your holiday! My pleasure Judy. We are a little spoilt for choice here as far as gardens are concerned, but Eden is a real one-off (so far!). I too visited at the hard hat stage when It was nothing more than a building site. Again I visited some years later on a couple of occasions. Once when there was a ice skating rink. Your article has inspired me to visit again to see the maturity of the plants. Thanks for sharing it with us all. 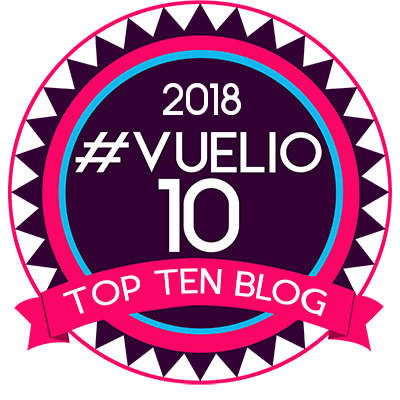 I love reading all your blogs. Thank you Florence. It’s lovely to know you enjoy my posts. I would definitely go to Eden again when you can. The whole project feels a lot more settled now, yet there is absolutely stacks to see and do. A very full day out, or possibly worth a full weekend? I love Eden. I’d quite fancy working there except the crowds in the summer might get to me. What a fabulous place and such vision from Tim Smit in making it happen. My dad used to deliver tyres for earth movers to the site when it was still a china clay pit. What a transformation. Another place on my list ‘to visit’…keeps getting longer! I am glad it has evolved in a good direction, some were expressing doubts at the beginning. I didn’t realise that the Eden Project grew out of a quarry. A pity I live too far away to have made frequent use of my year’s entrance. I agree, but even locals don’t make it that often! Worth making the effort for a return visit though. Have a lovely weekend Helen. 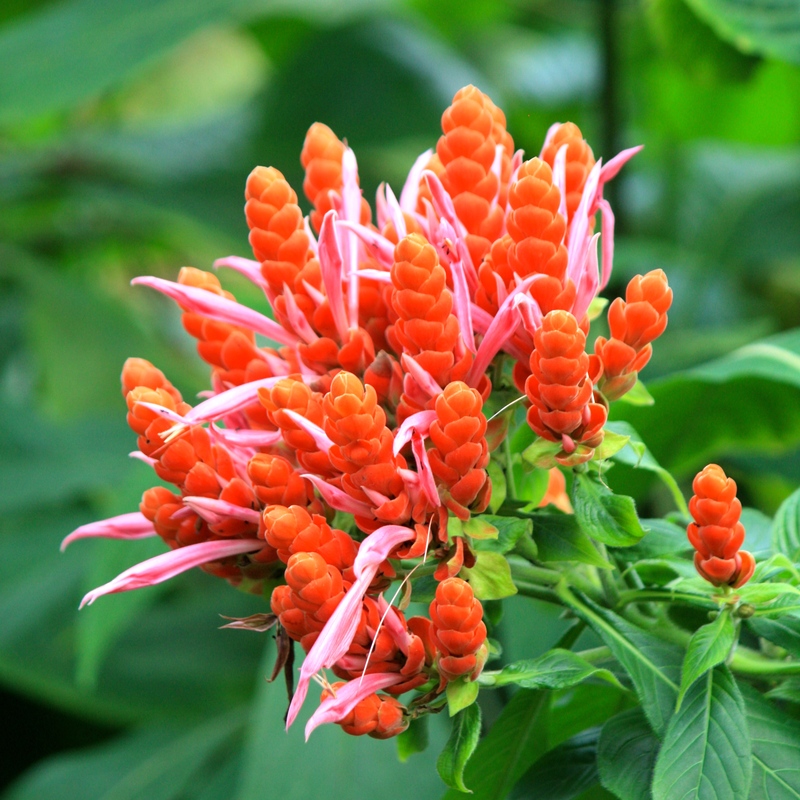 That last photo tagged “No label, but totally tropical all the same!” may be of Aphelandra sinclairiana a recent planting in my garden here in south east Queensland, Australia. Love reading your blogs and so enjoy the photos. Well done Lyn, you got it spot on! I have learnt something new today and will update my photograph accordingly. 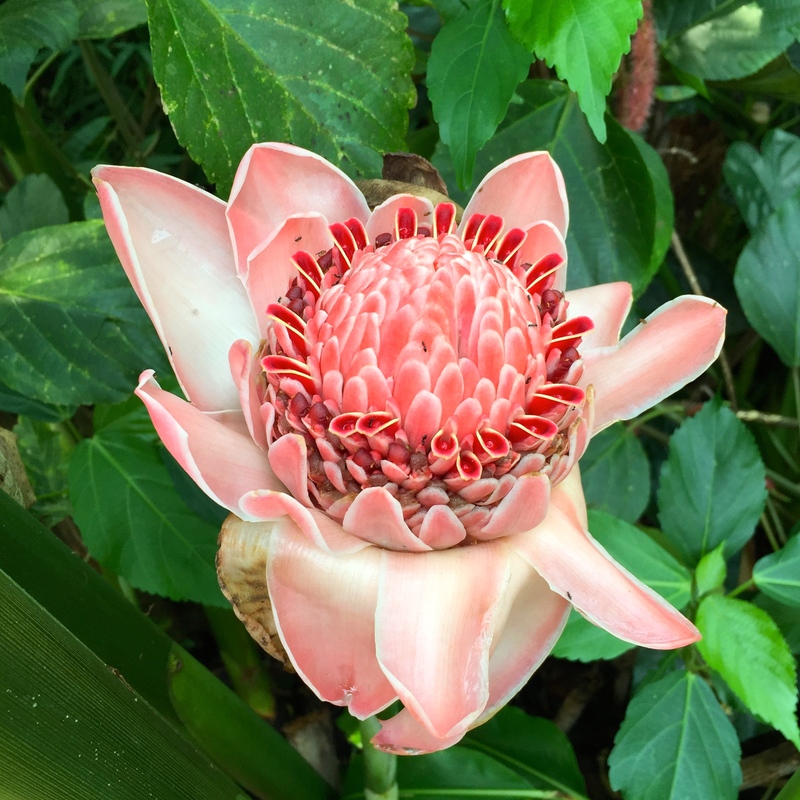 What a stunning plant to be able to cultivate. Hope it blooms prolifically for you. I too was there Dan…all those years ago in a hard hat…in fact I was there before when talking with Tim Smit and his wife and Phillip Macmillan Browse at Heligan before Eden was officially on the anvil so to speak…! A remarkable project and brain child of a remarkable man of creative thought and vision to create from an overworked clay pit a garden of extraordinary beauty and ecological significance…a stunning place to visit at any time of the year…. I am sure you look much better in a hard hat than I do Anne! Yes. Beginning to think I should organise an Eden ‘hard hat’ reunion for readers of this blog!